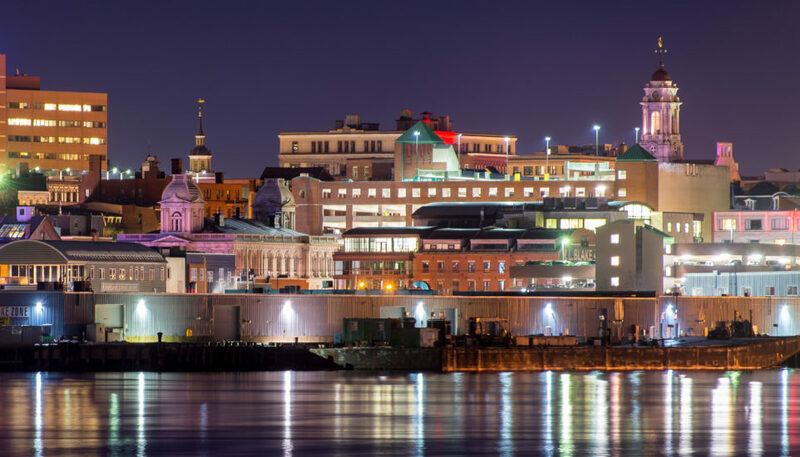 Portland, Maine is the largest city in the state, with about 40 percent of Maine residents living in the greater Portland metropolitan area. With all its attractions and amenities, it’s no wonder. Named American’s 2018 “Restaurant City of the Year” by Bon Appetit, Portland is also an arts-embracing, health-conscious, family-friendly city that is surrounded by water on three sides. Two more interesting facts about Portland: Portland, Oregon, now 10 times the size of Maine’s largest city, was actually named after Portland, Maine. While Portland is the birthplace of the Prohibition Movement, it now boasts the most microbreweries per capita of any U.S. city. 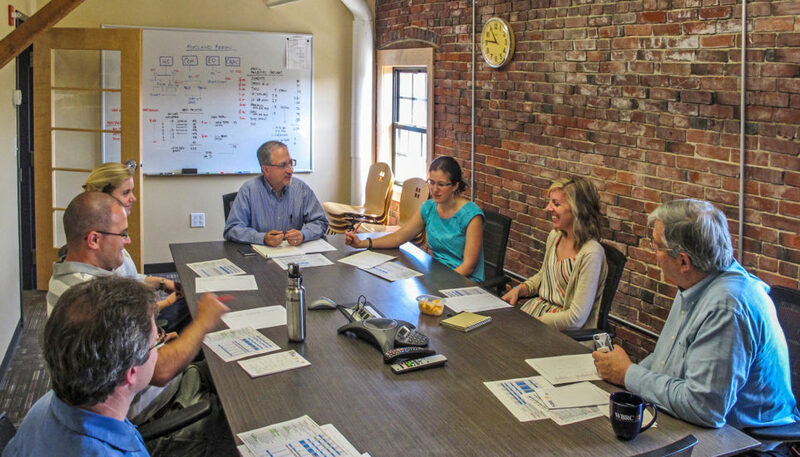 Portland has many distinctive neighborhoods, as evidenced by the nearly 20 active neighborhood councils and associations. These groups have helped inspire revitalization projects from pocket parks to community gardens, foster business collaboration, and sponsor events throughout the year. Old Port is a favorite area of the city to both locals and tourists. It’s quaint yet sophisticated, featuring cobblestone streets, 19th-century brick buildings, and a working waterfront. Walk Old Port and you’ll find a cornucopia of shops, eateries, and watering holes. The iconic Portland Headlight is actually located in the town of Cape Elizabeth. Portland Headlight is the most-photographed and arguably the most beautiful lighthouse in the United States. Completed in 1791, this landmark sits at the entrance to Portland Harbor’s primary shipping channel. The adjacent Fort Williams Park is a great place to hike, picnic, or fly a kite. Portland is on a peninsula, surrounded by island-dotted Casco Bay. A ferry system provides year-round passage to eight inhabited islands. Many of them offer a taste of simpler times, such as Cliff Island’s unpaved roads and one-room schoolhouse. Portland Museum of Art is a regional treasure and the 1983 I.M. Pei building addition is itself a work of art. While you can experience the museum in a day, the PMA’s entire collection includes over 18,000 works of art, ranging from Monet to Homer to Warhol, with frequent events and new exhibits. Portland-Maine-born celebrities include actors Anna Kenrick and Liv Tyler, Olympians Ian Crocker and Joan Benoit Samuelson, author Stephen King, and many others. A statue of another famous son, 19th-century poet Henry Wadsworth Longfellow, presides over Longfellow Square in the heart of downtown Portland. Portland is located on a peninsula, giving it water access on three sides, including a busy port. Despite all this water, the city survived devastating fires in previous eras, which is why the city seal depicts a phoenix rising from the ashes. 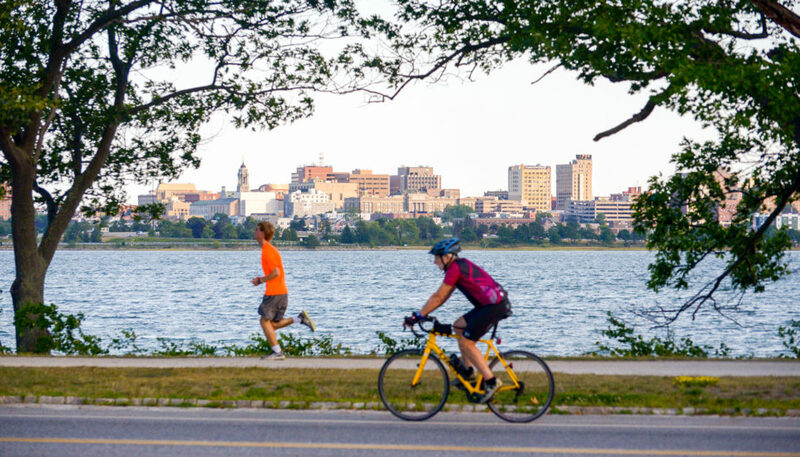 Portland’s Eastern Promenade Trail is a lovely, dog-friendly waterside pathway that’s a favorite of local walkers and runners. It also has free parking, grassy play and picnic areas, kayak launch spot, restrooms, and the ability to watch both the sunrise and sunset.